Richard Jordan who was born in Edinburgh on the 4th of November 1872. Jordan was a slightly built, dark eyed and dark haired man. He was swift, intuitive and aggressive in his movements. He was also a fine chess player and often represented Edinburgh. Glasgow and the Americans Harry Pillsbury and Newell Banks. himself to be at the peak of his powers. he was accidentally struck by a tram-car near his home in Edinburgh. but suffered a relapse shortly after and died after an operation in September 1911.
he was buried at the New Calton Cemetery, Edinburgh. behind the stone marked Mrs C Finniegan, by the hedge on the wall. I found other Draughts/Checkers sites giving details about Richard Jordan. picture about one of Edinburgh's forgotten interesting characters. Richard Jordan was born on the 4th November 1872. 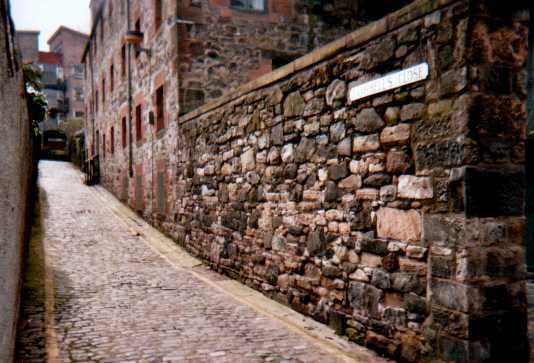 The address is given as 6 Campbells Close in the Cannongate, Edinburgh. His father, a plasterer was called Richard. His mother was called Mary. They were married in 1854. 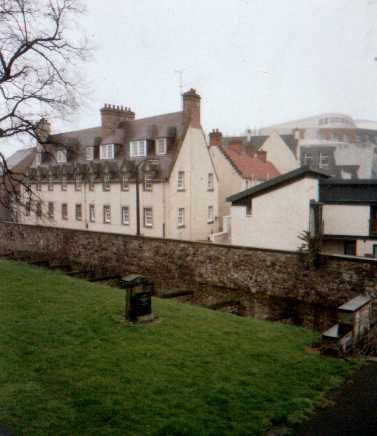 The building on the right (on the left below) dates from the 1840's. on the 28th January 1898 at St. Columba's, Upper Gray Street. as a 'Hatter.' and his address at that time was given as 2 Montague Street. The marriage produced 3 children. Richard Trewland 1898, Elizabeth 1900 & Maria 1902. Here is the Census of 1901. Listing Richard as a professional Draughts Player. and Maria Jordan (sister). 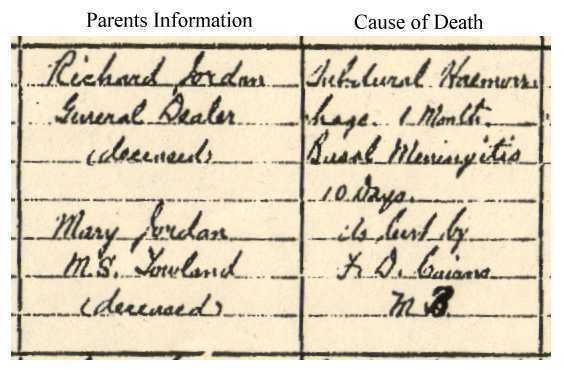 Maria Jordan (daughter was born the following year. They stayed at 2 Montague Street Edinburgh. a whole host of other ancient periodicals. 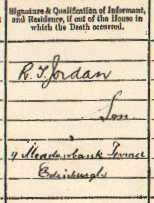 I could find only one mention of a R. Jordan in the B.C.M. against Mr.C. 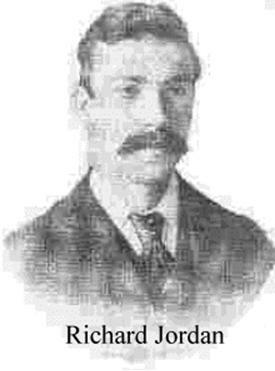 McDonald of the Glasgow Club in the Spens Cup. but no more R. Jordans. I traced the Scotsman obituary. The Scotsman 9th October 1911 page 6.
of Mr Richard Jordan, the worlds draughts champion. The rest of the Obituary then continues with his playing career. for the 6th - 10th September. It looks like he taken there but not detained. 8th October 1911. His nephew claimed his body. Draughts Player was beyond the person entering Richard's details. He was 39 years old when he passed away. Here is the entry on the death certificate. Note he is back to being a professional Draughts Player. You can see where some tributes have got the 37 from. The 39 certainly does look like a 37. 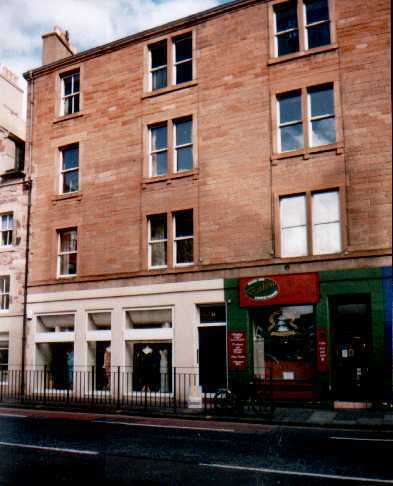 At the time he passed away he stayed at 33 Buccleuch Street. Attached to the death certificate was a precognition. Which means there was an inquiry into his death. in Edinburgh. He was buried on the 12th October 1911. Marie Jordan on the 4th of February 1909 from a Mrs Finnigan. is just across the road from Campbells Close where Richard was born. right behind the tombstone for 'Finnigan'. That stone was very badly deteriorated. 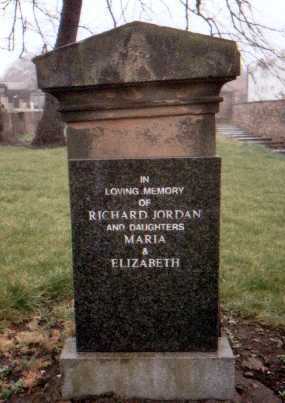 "In Loving Memory, Richard Jordan and Daughters Maria and Elizabeth." It looked like a very recent addition due to it's excellent condition. I assume by this Richard is buried here with his two daughters. career simply enter his name + draughts on any search engine. you can tell them the story of Richard Jordan. 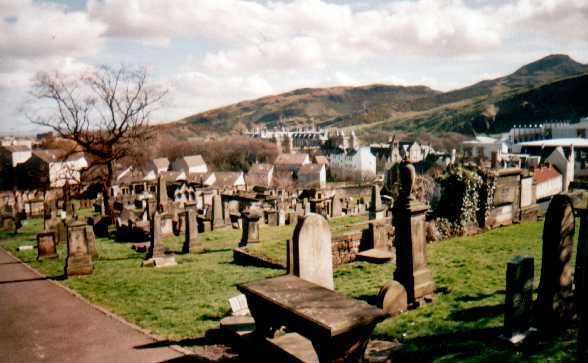 The Edinburgh lad who died whilst he was World Draughts Champion. only took me an hour to find out everything I wanted to know. listed as being a Professional Draughts Player. His Son, also called Richard, passed away on the 8th January 1948. This time his father's profession is listed as being "A Hatter." The same profession as when he was married. Richard Junior stayed single. 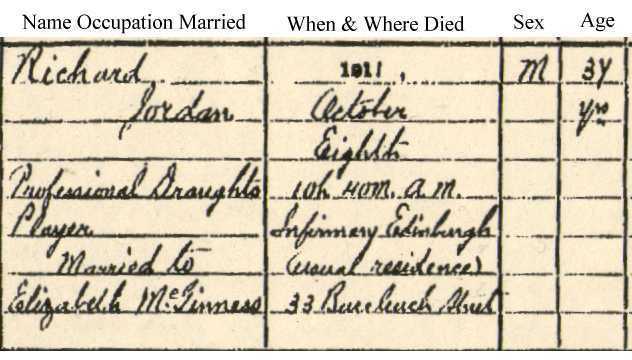 Mrs Jordan's death certificate he gave his address as 17 Meadowbank Terrace. 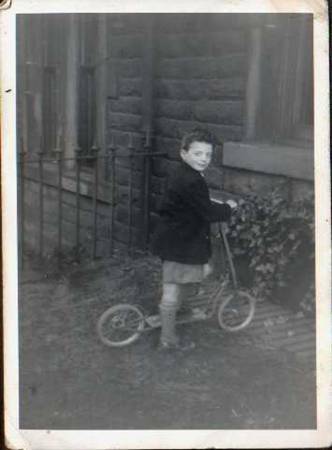 I was born in Bethnal Green in London on the 30th June 1951.
her Scottish relations who lived in Edinburgh. I've been here ever since. 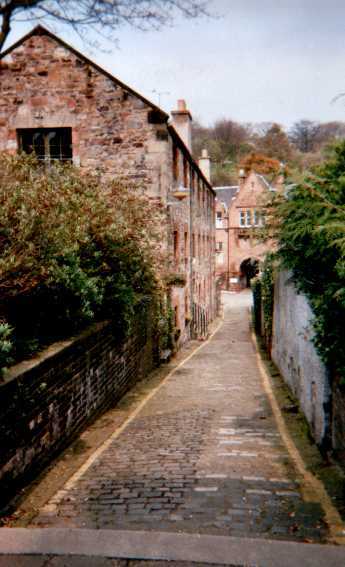 first stayed in when we moved to Edinburgh. The address - 17 Meadowbank Terrace.